The final of the pool tournament will take place tonight with Lesley Walsh taking on Murt Sweeney in a first to 4 frames match, starting at half 8, in the Monageer Tavern. All of the proceeds of this event are going to Hospice, and all support will be greatly appreciated. 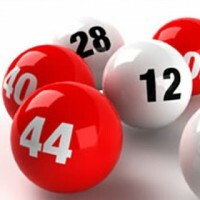 A raffle, music and great pool is in store on the night. Music is by the Batt Murphy. There has been a change to the Intermediate Camogie Schedule for the championship matches. The first game will now be held in Gorey against Gorey on 25th June. The Oylegate match will be held on 9th July in Monageer. Congratulations to Robyn and Matt O Loughlin The Harrow on winning €2000 or MacBook Pro Laptop and Aidan and Ellen Kearney 48 Pairc Mhuire Ferns on winning €200 in the May draw. 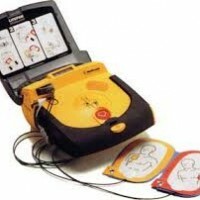 A fully certified AED Course will be held in the GAA complex on Friday 24th May 2013 from 7 to 9.30pm. Please note that certificates are available on request and for a cost of €5. The course is currently booked out but if you wish to put your name on a waiting list please contact Emma Lupton on 087-9585673 or Jonathan Dunne on 083-0022912. 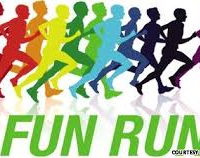 Thanks to everyone who took part in the Monageer National School Fun 3 mile run, jog or walk last Friday night. The event was a great success. Registration and number pick up point is at the parish hall and will take place from 6.45pm onwards. The village will be very busy on Friday night as there are 2 matches in the GAA grounds also. Parking will be available in the field next to the GAA grounds. Please obey signs and marshals on the night to ensure the safety of all involved. Children must not be left unsupervised during the event. Spot prizes can be donated. If anyone wishes to make sandwiches or buns please leave them into the Tavern before the race. For further information please contact Stephen O’Leary on 087-2418491 or Jean Mernagh on 087-6109358. Monageer Boolavogue GAA, Camogie, Ladies Football & Coiste Na nOg are hosting a field evening on Sunday 2nd June at 6.45pm in the field beside the parish hall. We would be grateful for any donations i.e. cakes, books, bottles, unwanted gifts etc. for our stalls which will be collected in the hall from 9.30 to 11.30am on Sunday morning. There is no cover charge into the event. Your support on the evening would be greatly appreciated. Junior B Hurling Championship Match against Cloughbawn off. Junior B match against Cloughbawn scheduled for Friday 17th is off as they do not have a team.